Zhang Xiangqing donated RMB110 million for the disaster area in Sichuan Province in 2008. People all over the country wondered why a company with a total capital of 3.5 billion is so generous. 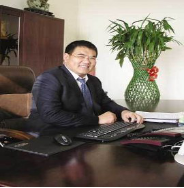 Mr. Zhang is the chairman and the general manager of his company, Tianjin Rongcheng. He never forgets that he was saved in the terrible Tangshan earthquake when he was 7, whose parents lost their lives in the disaster. He had to give up schooling at the age of 12 because of his hard situation in his life. He started the business of steel trading in 1991 and he spent the next 11 years building his company to become one of the top 500 enterprises(企业) in China. A report shows that he has already donated more than RMB140 million for the people during the SARS crisis, helping the elderly people, helping the poor students to get back to school and helping lots of disabled people and so on. In an interview he was asked, “Why are you so generous when donating money?” He replied, “It is because of love.” He has experienced the terrible earthquake and lived a hard life before and he knows who are really in need. He also has a clear memory of how his mother often helped the poor when he was still a little child. 1. From the passage we know Zhang Xiangqing is a _______. 2. Zhang Xiangqing stopped going to school when he was _______. 3. The underlined word “generous” means _______ in Chinese. 4. From the passage, we can know ______. B A company, Tianjin Rongcheng. C A good man—Zhang Xiangqing.